Clean water and healthy communities go hand in hand. Urban areas are increasingly using green infrastructure to create multiple benefits for their communities. 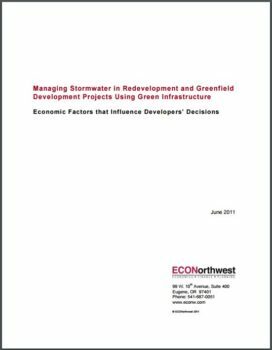 However, there have been questions whether strong stormwater standards could unintentionally deter urban redevelopment and shift development to environmentally damaging sprawl. Working with Smart Growth America, the Center for Neighborhood Technology, River Network and NRDC, we commissioned a report by ECONorthwest titled ”Managing Stormwater in Redevelopment and Greenfield Development Projects Using Green Infrastructure.” Highlighting several communities that are protecting clean water and fostering redevelopment, the findings show that clean water and urban redevelopment are compatible.